Bodie has been written about for decades. From children’s books, to art books, to history books. 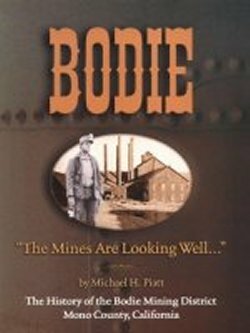 This is an ever-growing list of Bodie books and publications that cover all of the topics above, and more. Marilyn Newton's images of solitary graves standing watch over desert valleys swept by clouds evoke the simple drama of life and death in early Nevada. Her work reminds us that Nevada is not a roped-off museum exhibit. Even in its historic past, Nevada is alive. Revised November 30, 2011, Edition. Looking out over the deserted landscape today it is hard to imagine that 150 years ago this remote corner of western Nevada was home to over five thousand people living in a thousand buildings, many of which were made of brick. 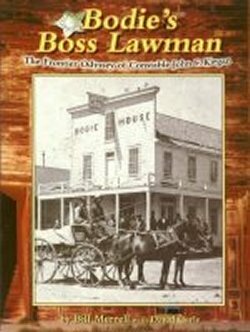 This book provides a snapshot in time of what it was like to live in a promising young city at the peak of prosperity on the Western frontier during the Civil War and includes 37 photographs and illustrations, 9 maps, numerous historic newspaper advertisements, and detailed descriptions of Aurora's buildings, businesses, churches, social organizations, schools, government, mines, roads, and newspapers. 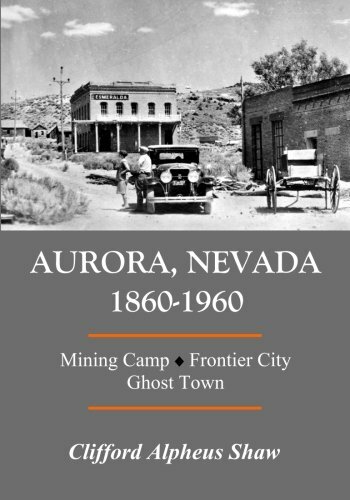 The book also includes a list of Aurora's residents from 1861 to 1864, an annotated list of historic California newspaper articles written about Aurora during 1860 to 1864, and an account the largest public celebration in Aurora's sixty year history-the "Grand Celebration" of July 4, 1864. Arizona's natural beauty and outdoor possibilities are known worldwide. 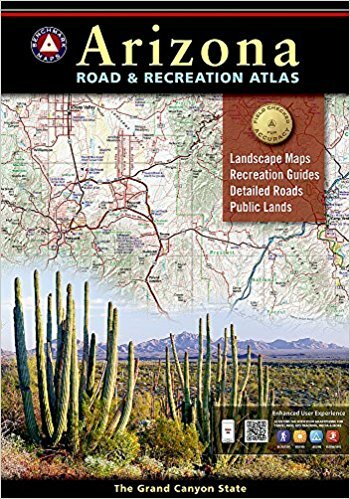 Benchmark's Arizona Road and Recreation Atlas makes it easy to discover the best the state offers. Detailed maps have thousands of miles of backcountry roads and include trailheads, campgrounds, and hundreds of points of interest. Public Lands maps show hunting units and the Recreation Guide has the latest information on campgrounds, RV parks, golf, and boating. Revised edition. 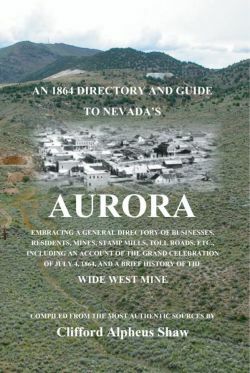 This new reference-oriented publication includes hundreds of edited and annotated newspaper clippings and other firsthand accounts about Aurora’s buildings, businesses, major mines, social life, Paiute citizens, ghost town days, and final destruction over the entire length of its century-long history. It also includes directories for the boom years 1864, 1880, and 1915, as well as 6 maps and over 150 photographs, many of which are “then and now” comparisons of the same view. Discovery of gold at Aurora opened the way to settlement of Nevada Territory. It proved there were precious minerals in locales beyond the rich Comstock Lode. Aurora was full of life during the Civil War years. Its streets teemed with hardy miners, millhands, merchants and barkeepers, stock hustlers and gunmen. Women coped with hardship and loneliness in this isolated location. Welcome to Bodie. It's a rowdy town deep in the Sierra Nevadas, overrun with gold miners, gamblers, and general riffraff, with a dead body every day before breakfast. Into the town rides the Badman, with no name, no memory, no past. Just a draw that makes lightning look slow. As the Badman finds himself taking down villains of all types, he discovers a purpose. But it's when he visits the angry Paiute tribe, victims of the greedy miners, he learns a terrible curse has been put on Bodie. The way to peace is drenched in blood. And even a bad man has a code of honor. More than a century later the town of Bodie is abandoned. Some say it's haunted by the ghosts of the town's inhabitants. 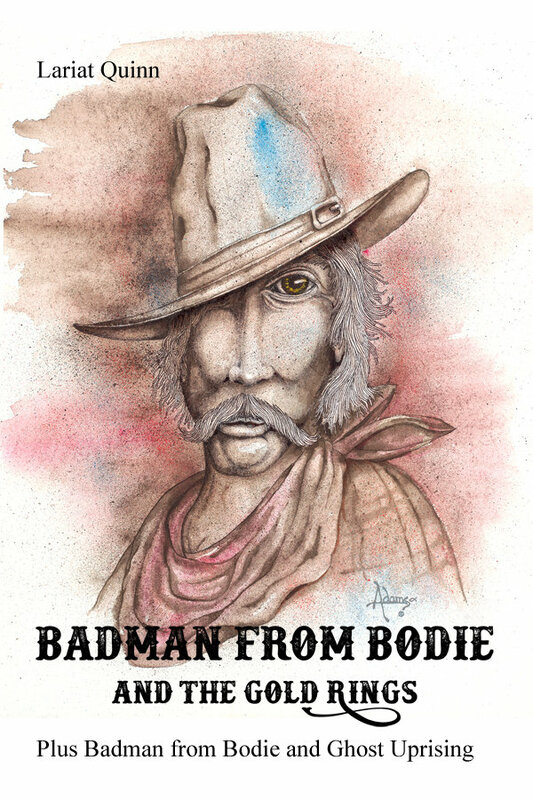 But the hills are rich with gold and uranium... will you dare the curse of the Badman from Bodie? History of the gold rush in the High Sierra town of Bodie. Gold was discovered in 1852. It was big in the late 1870s and early 1880s, but by 1882, only two mines remained. Few people stayed until the 1930s when it became a park. During its heyday, Bodie was a notorious as a very rough town. Though bodie was discovered in 1859, no significant mining started until rich strikes in 1877 brought about a furious mining rush two years later. Photos show mines and miners, street scenes, buildings, the mill, and the crowds which made up Bodie. Nestled amongst the sage-covered, windswept hills of California’s Eastern Sierra is the site of one of the most notorious mining towns of the Old West. In 1859, gold was discovered in the treeless hills northeast of Mono Lake. By 1879, Bodie was a metropolis of nearly 10,000 souls and was briefly the third-largest city in California. Excitement was short-lived, however, and word soon spread that the mines had reached peak production. An exodus began, but contrary to popular belief, Bodie was never totally abandoned. People continued living in this curious and beautiful place throughout the 1950s, and in 1962, the California State Parks system purchased the town site. Now stabilized against the elements, Bodie is today known as the largest unrestored ghost town in the West. 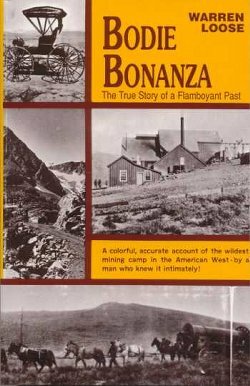 Based on three decades of research, this book tells the story of mining in the former boomtown of Bodie, CA. Woven throughout are accounts of gambled fortunes, engineering marvels, and vigilante uprisings. 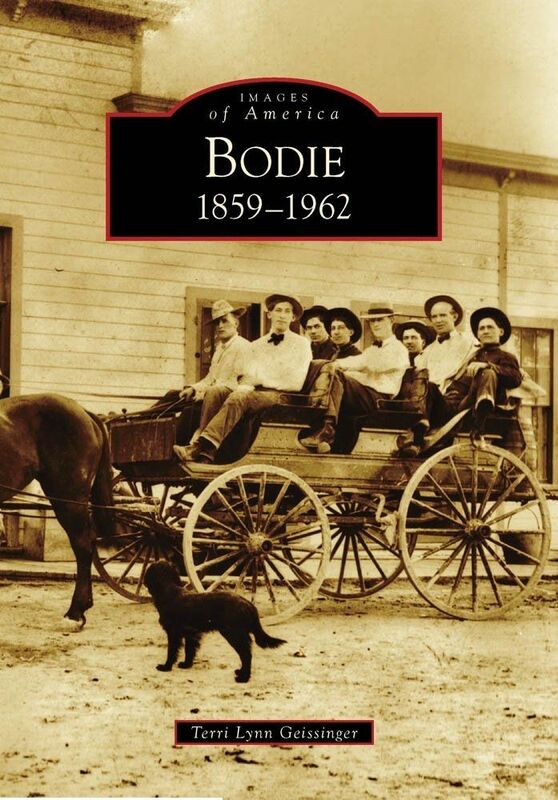 Tracing Bodie's history from the discovery of gold in 1877 to the departure of its last residents in the 1940s, the book includes scores of never-before-published photos. The Bodie Mining District was established in 1860 after the discovery of gold deposits in the area. 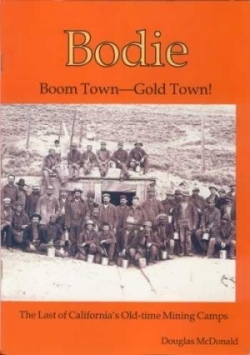 Bodie's largest boom ended just over twenty years later, but the town survived into the twentieth century supported by a few small but steady mines. Mining ended with World War II. What remained of the town became a state park in 1964. 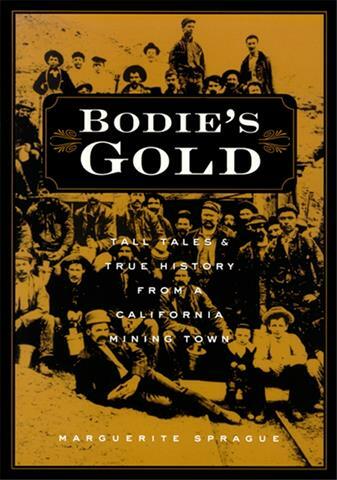 In Bodie's Gold, author Marguerite Sprague uncovers the original sources of information whenever possible, from the first mining claims to interviews with former Bodieites. 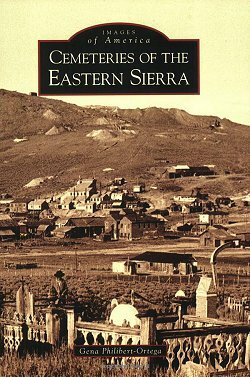 Enhanced with numerous historic photographs and extracts from newspapers of that period, as well as by the reminiscences of former residents, the book offers a fascinating account of life in a Gold Rush boomtown. The book is now available in a new, easier-to-handle paperback edition that will make it more convenient for readers who want to carry if with them in a car or backpack. In the fall of 2002 the California legislature proclaimed Bodie as California's official gold rush ghost town. Bodie offers about 150 surviving structures, and as many mine dumps as buildings in the town. 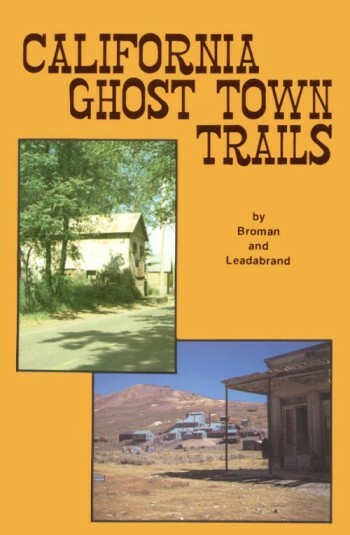 It is widely regarded as one of the best ghost town experiences in the West. 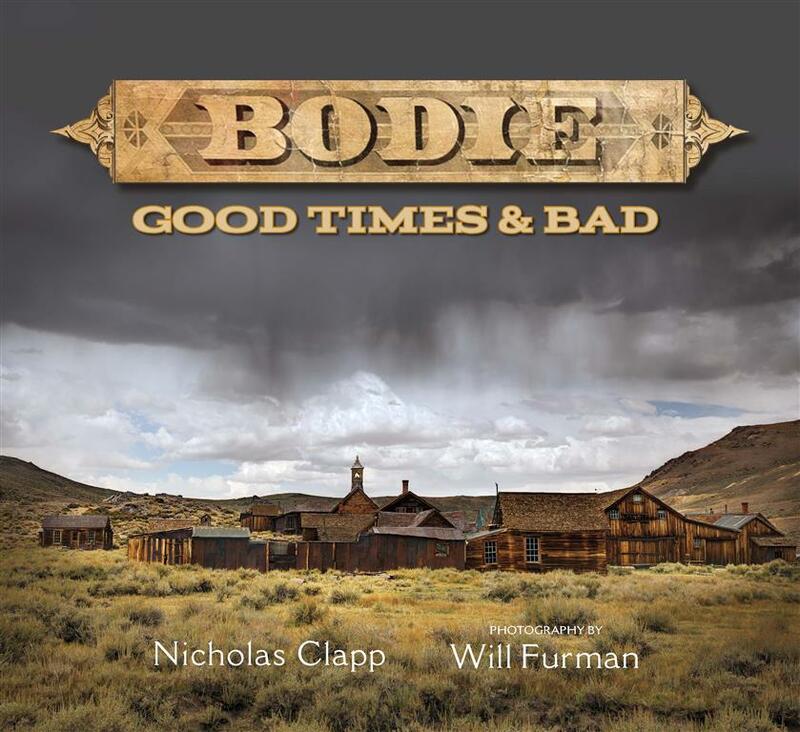 Go back in history and learn of Bodie in its glory days. 175 pages. In June of 1893, an arrogant and demanding, and wealthy old man named Williams hires Clay Jameson, former Pinkerton detective, to find his daughter and bring her home. His daughter has either been kidnapped by or has eloped with a man who Williams dislikes and wants eliminated from the picture. Jameson accepts the job, but promised only to find the girl and help her on her terms, and he declines the offer to kill her young husband. Consequently, Williams sends two of his ranch hands to follow Jameson and to eliminate the husband and return his daughter. The search takes them all from Martinez to Bodie, California, a lawless mining town on the decline from its once prosperous years, whose population includes miners, saloon owners, gunmen, and a prostitutes, all seeking to squeeze the last drop of blood from a dying town. Killings are a daily occurrence. Jameson must face enemies from within and without of the town to rescue the girl from forces within the town, and from her father as well. 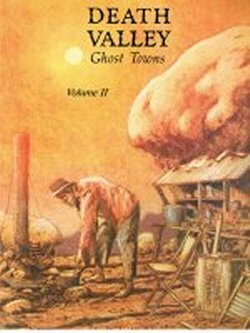 Relive the history, high drama, heartbreak, and quick fortune world of the California ghost towns. This best-selling guide provides detailed maps, interesting facts, and historical data for 139 of the best-known sites throughout the state, by region, with illustrations and photos. 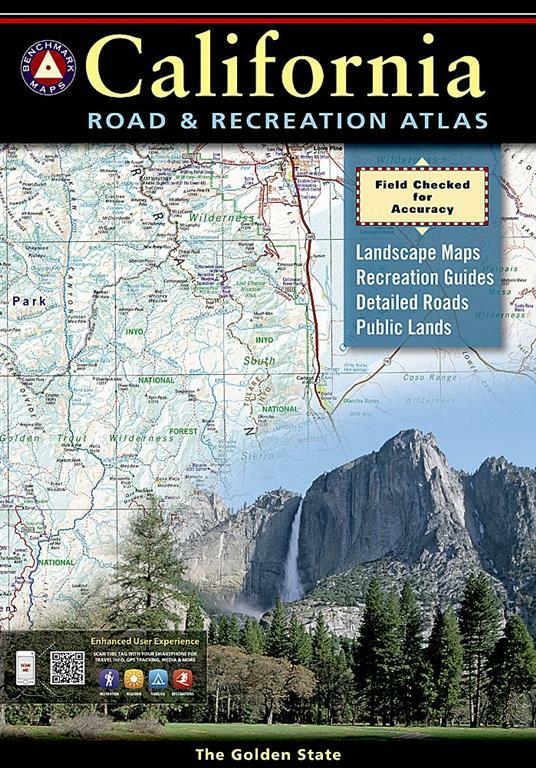 California deserves an atlas that matches its varied culture and scenery and Benchmark s California Road & Recreation Atlas is it. Nearly 225,000 copies have been sold since its introduction in 1998...an impressive acceptance that has made this atlas one of the most successful California map products of the last decade. Now, the new 8th edition has improvements and refinements that will insure its continued success. Benchmark s Landscape MapsTM now show ground-cover detail at a very high-resolution. It s easy to see, at-a-glance, whether an area is forested, cultivated, marshland, desert, or scrubland. This feature is ideal for the person who wants to know the most about an area being visited beforehand. Along with the all-new Landscape Maps, Benchmark has extensively revised the 14-page Metro Map section. Of course, the atlas still has features people love; a complete Recreation Guide, page-to-page overlap and legendary accuracy, features that assure this atlas will continue winning accolades for many years to come. California’s Eastern Sierra region, encompassing Inyo and Mono Counties, is a paradise of striking contrasts and beauty. Early settlers came to this area―now known chiefly for recreational activities such as fishing, hiking, and skiing―for its mining and agricultural prospects. Towns like Bodie, Lundy, and Keeler rose with the promise of quick riches but failed when the promise dimmed. Throughout this unique landscape are sprinkled the poignant resting places of early pioneers. 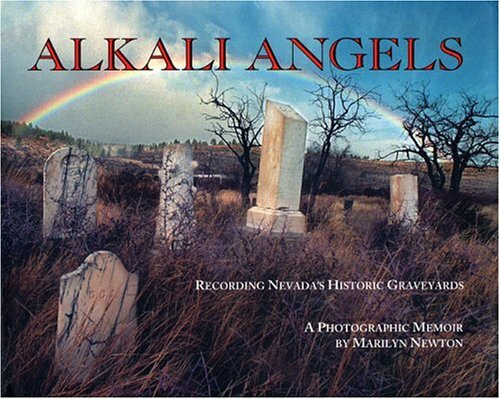 Reflecting the diversity of the natural setting, the area’s cemeteries range from the Mono County Cemetery overlooking Mono Lake to the overgrown cemetery at the Civil War–era Fort Independence to the garden cemeteries of Bishop. The monuments in these cemeteries, along with the beautiful country that surrounds them, honor the men and women who once carved lives out of this rugged wilderness. Free-wheeling ladies on high-stepping horses, daring cowgirls, Wells Fargo women and adventurous schoolmarms brighten these pages. An attractive, over sized guide to the ghost towns of Death Valley. Many photos and detailed history of the old mining camps as they once existed. Illustrated. Paher. 49 pages. 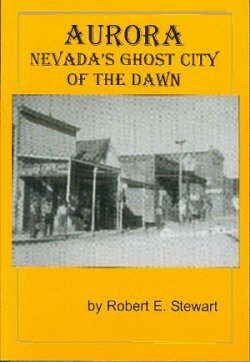 32 pp., 9 x 12, Old-time photographs, Mining camps of Death Valley - Skidoo, Panamint City, and Old Stovepipe Wells- are joined by those immediately to the west, including Cerro Gordo, Darwin and Cartago. There are essays on the prospector, the Tonopah & Tidewater Railroad and desert driving hints. Color cover. The first time I photographed the abandoned mining camp of Bodie was in 1968. A photographer friend knew I enjoyed photographing abandoned homes and dilapidated barns. He suggested that the ghost town of Bodie would be interesting to photograph. He was right! I generally photographed Bodie several times a year. I would schedule a day trip when visiting relatives in Carson City. For many years I photographed Bodie without thought to the people who lived there. 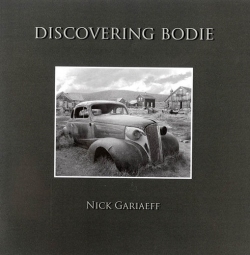 I made it a point not to read books about Bodie, or learn about the mining operations, buildings, make of cars - anything. It was just a place to wander about and photograph. I always thought my best photographs were created when I didn’t consciously think about what I was doing. I still do. I believe the unconscious mind can process the sense of the surrounding environment and react to it artistically much better than if one tried to stage a particular outcome. As time went on, curiosity got the best of me. I wondered why I was attracted to the place, and what the photographs meant. People would ask me questions about the Bodie, thinking I must be an expert because I spent a considerable amount of time there. I could not answer - I had no idea! Bodie was a puzzle. I started wondering what was real, and what was staged. Who were these people? From where did they come from and where did they go? On February 9, 1864, exactly 150 years before the release of this publication, John Daly, William Buckley, James “Massey” Masterson, and John “Three-fingered Jack” McDowell were hanged at Aurora, Nevada, by a large and well organized group of vigilantes known as the Citizens’ Safety Committee. Their crime was the murder of William Johnson, a “peaceable, quiet, and respectable citizen,” on one of Aurora’s main streets just before the break of dawn. 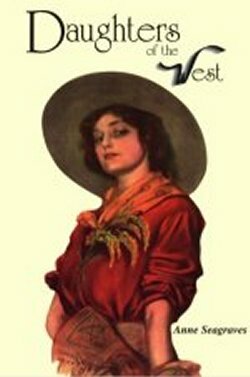 Newspapers from across the West to New York City carried the story, which has become part of our Western lore. 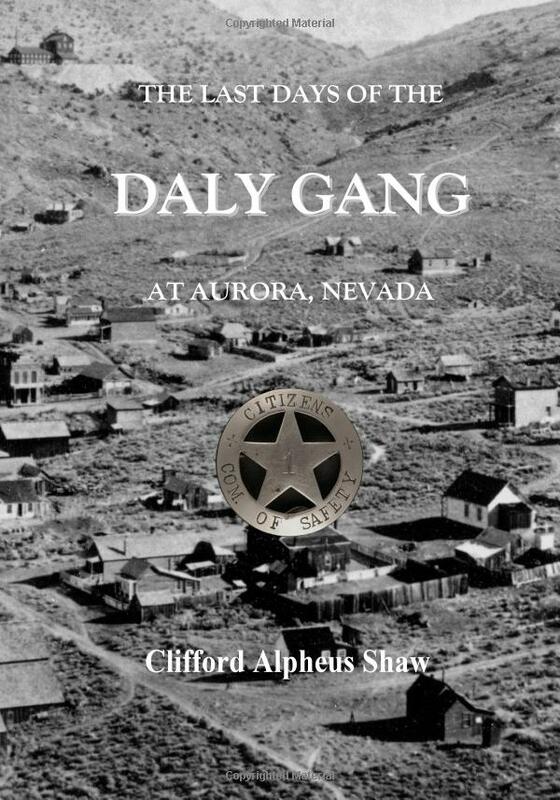 This new book is a guide to when and where the major events surrounding the last days of the infamous Daly gang occurred at Aurora. 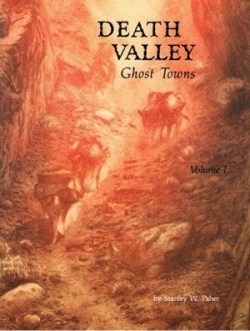 The book is organized by date and includes a list of the more important locations relevant to the Daly gang and the vigilantes keyed to a map and photographs. Although all of Aurora’s once magnificent brick and wood buildings are gone, if you know where to look you can still see some of the streets and building ruins relevant to this story. In addition, the book includes for the first time a complete transcription of the riveting first-hand testimony given at the coroner’s inquest, which will give readers new insights into what it was like to live in a real-life Wild West Nevada mining town during the Civil War.